REI Garage 50% Kids' Clothing & Outerwear ends 4/20/2017. Free Shipping $50 or free ship to store. Excellent 1 year return period. Shop early for best selection. 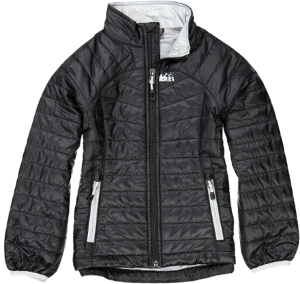 All your favorite brands: The North Face, Columbia, Under Armour and more..
REI Co-op Revelcloud Jacket Girls $39.73, was $79.50. Free in store pickup.